The Patriots are headed to the Super Bowl—again. Bars will fill up around the city as fans prepare to watch the big game. But for some of us, the best way to celebrate Super Bowl Sunday is huddled around the TV at home with friends and family. If you want to cook for your team, check out these chef-designed recipes. 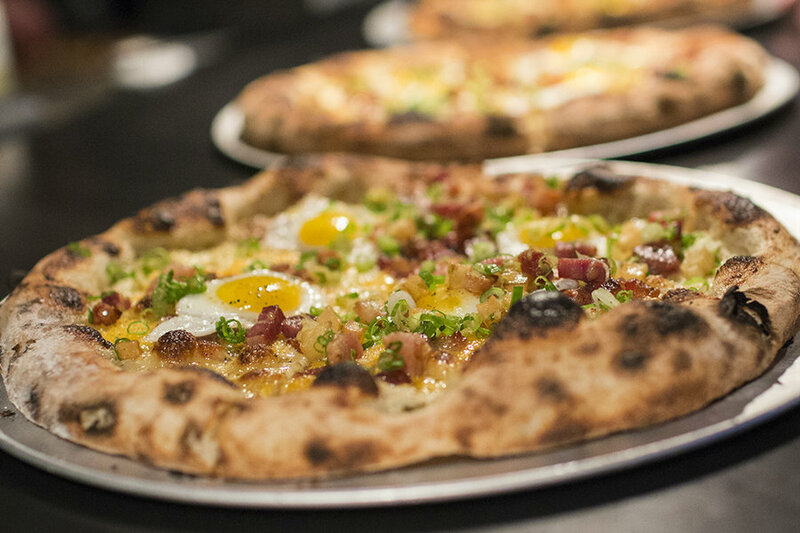 But if you’re not Tom Brady of the kitchen, winning the watch party is still possible with the help of these Boston restaurants with tailgate-ready takeout specials. No need to stress on game day—these options have you covered better than any offensive line. This Mexican joint dedicates its take-out options to Tom Brady with 12 percent off all catering orders. Taco bars and burrito trays are sure to be devoured, and there’s even horchata and fresh-squeezed lemonade. If you have some serious eaters, Anna’s famous 30-plus-inch burrito, the Cubio, is a great option. $60.40-$499.99, 1412 Beacon St., Brookline, 617-739-7300, JFK Corner, Porter Square, MIT/Stratton Center, Davis Square, Beacon Hill/MGH, Newton Highlands, annastaqueria.com. Embrace pizza and wings as the go-to options for the Super Bowl with an order here. Choose any-sized package, from the Rookie to the “G.O.A.T.” The Brady. Each deal comes with a varying number of pies, wings, and garlic knots with marinara sauce. Order by 5 p.m. on February 3 for pickup anytime on game day. $65-$230, 500 Technology Sq., Cambridge, 617-758-4444, 264 East Berkeley St., Boston, 857-317-4805, areafour.com. Here’s an option for big groups who want some Italian flavor at their Super Bowl party. 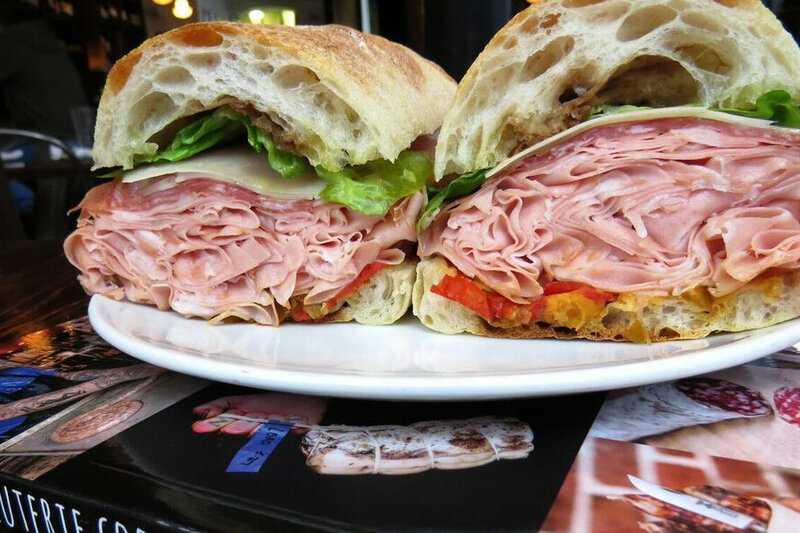 Babbo’s package feeds 6-8 people—with big appetites. The Italian feast to-go has fra diavolo chicken wings, meatball, and ribeye grinders, and your choice of three pizzas. Orders must be placed by February 2. $90, 11 Fan Pier Boulevard, Boston, 617-421-4466, babbopizzeria.com. Lifelong Patriots fans are all over the city, but one of them is chef Colin Lynch. His specials include “finger lickin’” ribs, seven-layer dip, wings, and a Big Hoagie special, layered with 36-month aged prosciutto. There’s also a Super Bowl family deal in two sizes. All orders should be placed by February 1 by 10 p.m. Call to make yours. $12-$180, 360 Harrison Ave., Boston, 617-530-1770, barmezzana.com. Just outside the city in Watertown, Branch Line has Super Bowl Sunday classics like spinach artichoke dip, crispy potato skins, and a sandwich platter. Each menu item serves four people. Orders must be placed by February 1 at 5 p.m. to be picked up on game day between noon-5 p.m.
$12-$36, 321 Arsenal Street, Watertown MA, branchlinearsenal.com. Every good Super Bowl party needs a pig’s head, right? We expect nothing less from chef Tony Maws. He’s offering a “Pigskin” platter that serves 4-6. In addition to the pig’s head, it comes with 12 chicken wings, and many sauces and sides. Optional add-ons include a rack of pork ribs and sausages. Order by February 3 and pickup is from noon-5 p.m. on Super Bowl Sunday. $75 and up, 853 Main St., Cambridge, 617-497-5511, craigieonmain.com. Your Super Bowl party might be larger than the seating capacity at this South End spot, so take-out is a great option. Chefs Ken Oringer and Jamie Bissonnette’s team has been serving up game day takeout specials all season long, and the big event is no different. Choose from the Gronk Spike (serves 4-6), or Brady’s Back (serves 10-12)—each package comes with Coppa’s signature Italian grinder, pizzas, and a Caesar salad. $90-$165, 253 Shawmut Ave., Boston, 617-391-0902, coppaboston.com. If you find yourself in Worcester on Super Bowl Sunday, Deadhorse Hill is serving up a little bit of everything for take-out orders—Korean fried chicken wings, pork ribs, coleslaw, buffalo mac and cheese, bean chili, potato chips and onion dip, and crudité with Israeli hummus. The annual Super Bowl package serves four, and must be picked up before 4 p.m. on February 4. $100, 281 Main St., Worcester, 774-420-7107, deadhorsehill.com. Dig Inn has a special platter just for Super Bowl LII. 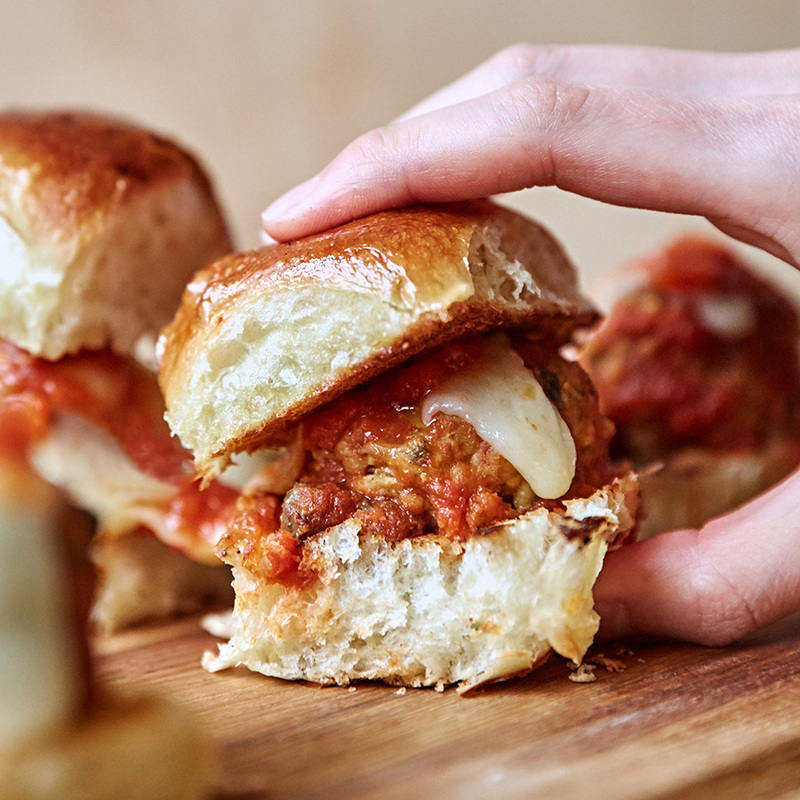 Just select February 4 as your order date, and choose from pull-apart meatball hoagies, roasted sweet potatoes with garlic aioli, a wedge salad, or any of their typical catering options. $20-$405, 557 Boylston St., Boston, 617-904-3711, 277 Washington St., Boston, 617-276-1000, diginn.com. As far as Tom Brady can throw a football—it’s pretty far, to be fair—you’re bound to find a Patriots fan in the city of Boston. In the same distance, you’re very likely to find a Legal Sea Foods location. If you’re not interested in going far for Super Bowl take out, Legal’s Souper Bowl special might be the one for you. 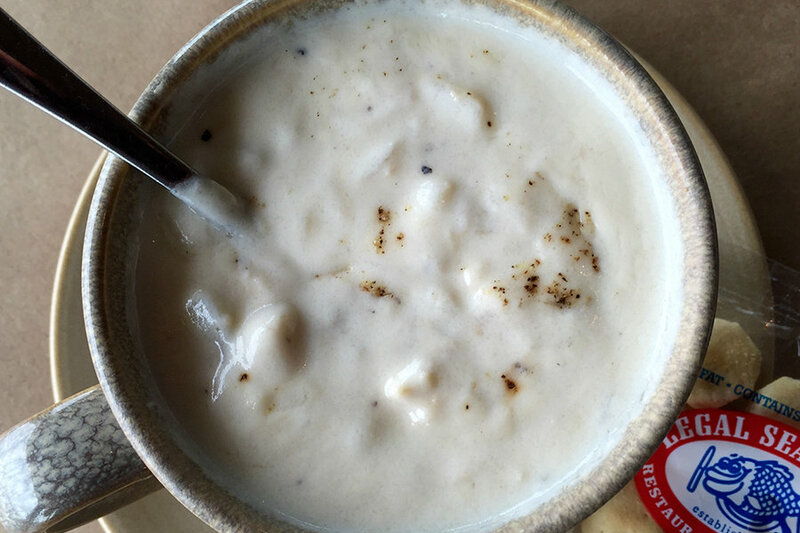 In honor of Brady, they’re offering $12 half gallons of clam chowder. This award-winning recipe is usually $23.50 per half gallon, but Pats No. 23 Patrick Chung-and-a-half doesn’t have quite the same effect. $12, 100 Huntington Ave., Boston, 617-266-7775, Braintree, Burlington, Charles Square, Charlestown, Chestnut Hill, Dedham, Downtown Crossing, Framingham, Hingham, Kendall Square, Long Wharf, Lynnfield, Park Square, Peabody, Seaport, Somerville, Warwick, legalseafoods.com. Burgers, wings, and mac and cheese all scream classic football watch party, and Lincoln Tavern in South Boston has it all. Pre-order 48 hours in advance. Email rachel@lincolnsouthboston.com for all inquiries. Same day pickup and delivery is available on Super Bowl Sunday with online ordering, but it’s an abbreviated menu of spicy wings, truffle mac and cheese, and large salads. $40-$100, 425 West Broadway, South Boston, 617-765-8636, lincolnsouthboston.com. A DIY taco bar is perfect for guests of any age, and Loco Taqueria has everything you need for one. From Baja fried fish to pork carnitas, your taco bar will make the game enjoyable, no matter who you’re rooting for. Orders must be placed a minimum of 24 hours in advance by phone or online. $10-$100, 412 West Broadway, South Boston, 617-917-5626, locosouthboston.com. Choose anything from the Smoke Shop’s mouthwatering takeout menu. From sandwiches to pints and quarts of brisket, every guest will be happy—even vegetarians, with options like a glazed tofu and mustard slaw sandwich. Both locations are also holding an event if you’re not planning on hosting. Orders must be placed 48 hours in advance. $6-$40, 25 Hampshire St., Cambridge, 617-577-7427, 343 Congress St., Boston, 617-261-7427, thesmokeshopbbq.com. State Park is in the spirit of Super Bowl LII with every catering menu item priced at $52. 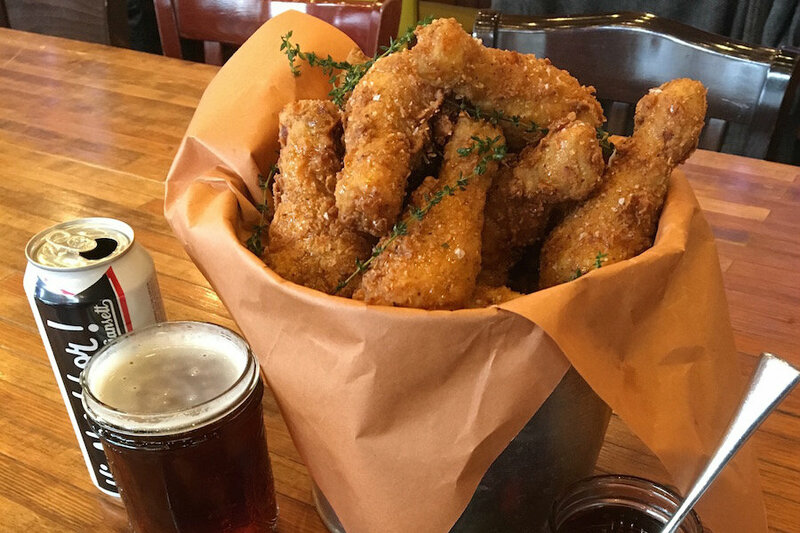 A bucket of pickle brined fried chicken, chicken katsu sandwiches, and Juicy Lucy burgers are all available. $52, 1 Kendall Square, Building 300 Lower Level, Cambridge, 617-848-4355, statepark.is. This Fenway barbecue staple has plenty of take-out options, no matter the size of your party. The main event is the Super Bowl Supper, meant to feed 10-15 with five different meats, three sides, and a dozen biscuits. Sandwiches, wings, and a bucket of drumsticks are also available. $29-$229, 1381 Boylston St, Boston, 617-266-1300, sweetcheeksq.com. Whole Heart Provisions has lots of house-made vegan snacks to satisfy even meat lovers. From chef Rebecca Arnold’s kale and mango guacamole to buffalo cauliflower dip to spicy chipotle chili, Whole Heart Provisions ensures that everyone is able to indulge on Super Bowl Sunday. Orders should be placed by February 2, and pickup is February 4 from 10 a.m.-5 p.m.
$10-$18, 487 Cambridge St, Allston, 617-202-5041, wholeheartprovisions.com.